1). Jade's top is now longer. 2) Perrie's got pink hair. 3) Leigh-Anne's trousers are turquoise. 4) Jesy's top is less revealing! 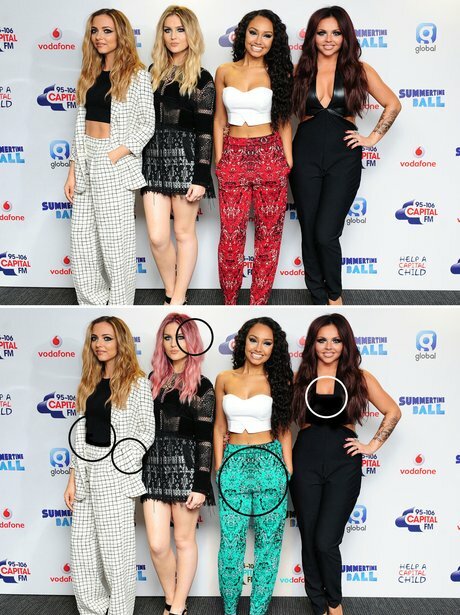 5) Jade's hand is missing!